Colin Kaepernick’s name is always in the news. It almost seems like that happens specifically by design. He loves the attention. And his name was just brought up again by his lawyer who claims there are two NFL teams interested in signing him as early as this coming week. Mark Geragos is former embattled San Francisco 49ers quarterback Colin Kaepernick’s lawyer. He represents him in the disgraced quarterback’s collusion case against the NFL. Geragos loves the attention as much as his client. During a recent interview with TMZ, Kaepernick’s lawyer professed that his client could make a return to the NFL soon. Those two team potentials are the Oakland Raiders and the New England Patriots. It’s, in fact, purposely cryptic. If you thought he would keep his mouth shut, then you were wrong. “I’ll just say this, ‘If Al Davis was still alive. That’s all I’m going to say,” Geragos said. Al Davis was the owner of the Oakland Raiders until his death in October 2011. Davis was the kind of person who would sign Kaepernick out of spite. It would be specifically for that reason. In 1980, Davis sued the NFL over an anti-trust lawsuit after he attempted to move the Raiders to Los Angeles. Davis’ son, Mark Davis, owns the Raiders now and they believe that Derek Carr is their franchise quarterback. It’s important to note that the Raiders are now 0-3. 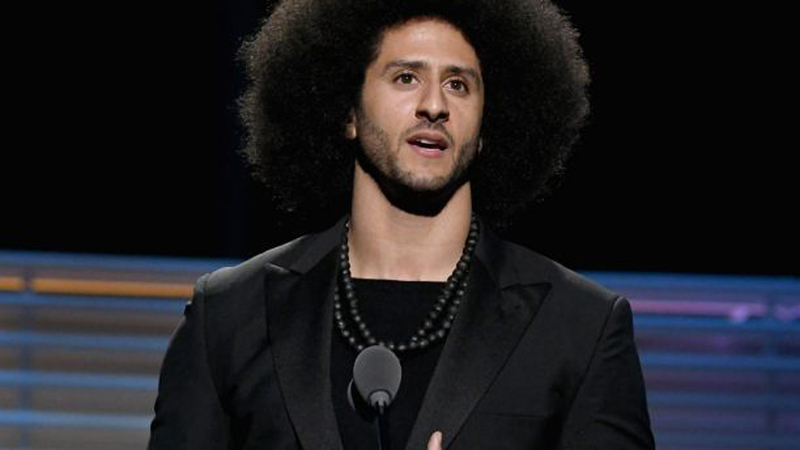 As for the other team interested in Kaepernick, he alluded to the New England Patriots. “You know who Meek Mill was visited by when he was in custody,” Geragos asked. Tom Brady is in the twilight of his career. Father time is undefeated. He needs a replacement in the next 1-3 years for sure. That seems implausible mainly because the entire Patriots’ offense is built around a pocket passing quarterback like Brady and Kaepernick is not that. Another thing you have to consider here too is that Geragos just loves the spotlight. It genuinely seems like he’ll say anything. He intentionally said that he wouldn’t let the reporters know. Then he told them by giving hints. Everything that Geragos says should be taken with a grain of salt. He said almost exactly a year ago that Kaepernick would have a contract in 10 days. Kaepernick remains unemployed to this day. The point is that you can’t trust anything that comes out of Geragos’ mouth. He’s said things before in the past that never happened. Maybe he just wants to feed Kaepernick’s ego a little bit more. In the meantime, his collusion case is still ongoing and it wouldn’t make a whole lot of sense for him to sign with any team until that fully plays out. Do you thing Geragos is toying with the media?